Quickly And Easily Die-Cut Shapes From Patterned Paper, Cardstock And Other Thin Materials! Designer Dies Are A Cut Above The Rest. Compatible With Most Manual Die-Cut Machines. 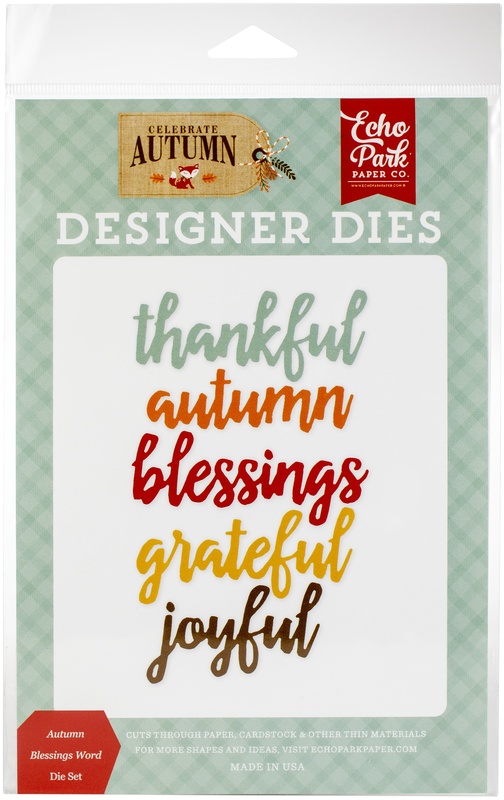 This Package Contains Autumn Blessings: A Set Of Five Metal Dies Measuring Between 2.25X1.125 Inches And 3X1 Inches. Warning: Choking Hazard. Not Suitable For Children Under 3 Years. Warning: May Contain Items With Sharp Edges. Handle With Care. Imported.